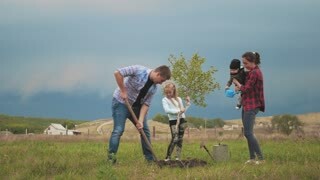 Family of four planting a new tree in his garden. 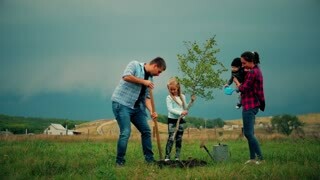 The concept is to plant trees, a friendly family. 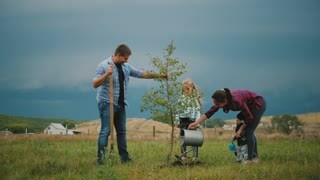 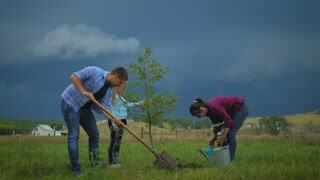 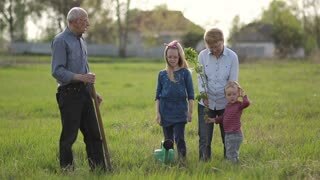 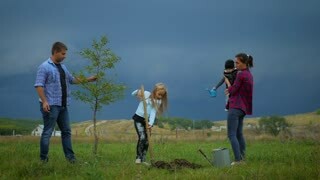 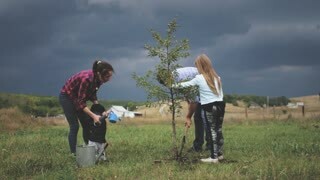 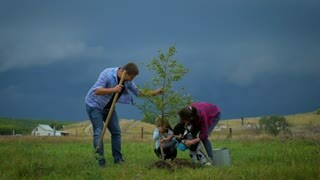 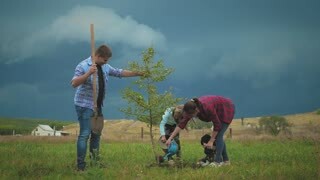 Friendly family, children planting tree with parent in garden.